Loopmasters welcome Leon Switch to the artist series with deep moody Dubstep sample collection – Deep Dark Dubstep – that is packed with filthy basses, hard edged percussion and cinematic SFX. 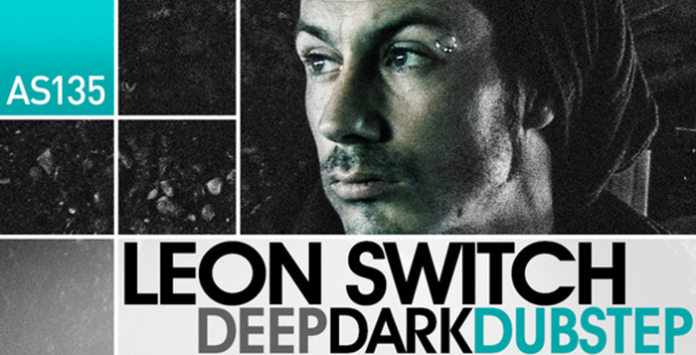 Leon Switch is a name synonymous with the UK Bass Music scene. Having produced under the Kryptic Minds moniker for the past 16 years, Leon is now striking out as a solo act once again, this time under Distance’s Chestplate imprint. Inside this dark & sinister collection of royalty free loops and one shot sounds you will find 30 filthy bass loops with plenty of devastating single shot bass sounds for building your own dark and dirty bass lines including nasty neuro mid-range stabs and heavyweight subs. In the drums section you will find 115 loops split up into 29 drum loops that come fully mixed and with individual stems of each part plus 20 percussion loops allowing you to mix and match rhythmic elements to build your own ferocious drum tracks. Also included are 60 single shot drums for those who prefer to program their beats. The melodic section is hit with 41 breath-taking moody atmospheric synth loops ranging from Deep Spacey Chords to Twisted Arps and FX plus you get 4 Atmospheric Pad Multi Samples to use in your favourite software samplers. Finally rounding off this incredible pack are 41 inspirational SFX sounds and Impact noises that will add drama any Dubstep production. Dubstep producers should check out this impressive collection of Club tearing loops and sounds so make sure you hit play on the demo track and download the free to use taster samples from this product page and get ready to sample Leon Switch – Deep Dark Dubstep TODAY!